Behind the Scenes in the Archives: Where Do We Start with a New Collection? Need to do a systematic review? Our guide can help! We're also offering a one-hour webinar about systematic reviews on April 29 - more info and registration here. Now you can view your checked out items and more in myNortheastern! The myNortheastern portal has been upgraded to include a library portlet that displays your checked out items and requests, and provides one-click access to Scholar OneSearch. Try it out and let us know what you think! Do you have an idea for a scholarly digital project? The Digital Scholarship Group is now accepting proposals for the next round of development for the CERES Exhibit Toolkit, a user-friendly set of tools for building digital scholarly projects and publications using the Digital Repository Service. Visit the DSG CFP page for more information, or apply here. Power Up with New Mobile Powerbanks! 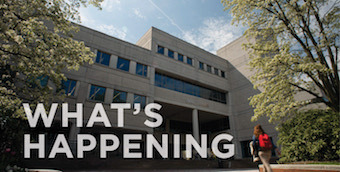 You asked for more power in Snell Library, and we heard you! You can now borrow a free mobile powerbank so you can charge your devices (including laptops) while you're in the Library. Just download the Omnicharge app and follow the instructions posted at each Omnicharge station.